For those of you who don’t know, Billy Smith Design Group is spearheaded by husband and wife duo Chris and Kassy. That’s us! We tied the knot last September, and thought it would only be fitting for us to design our own wedding invitations and wedding website! 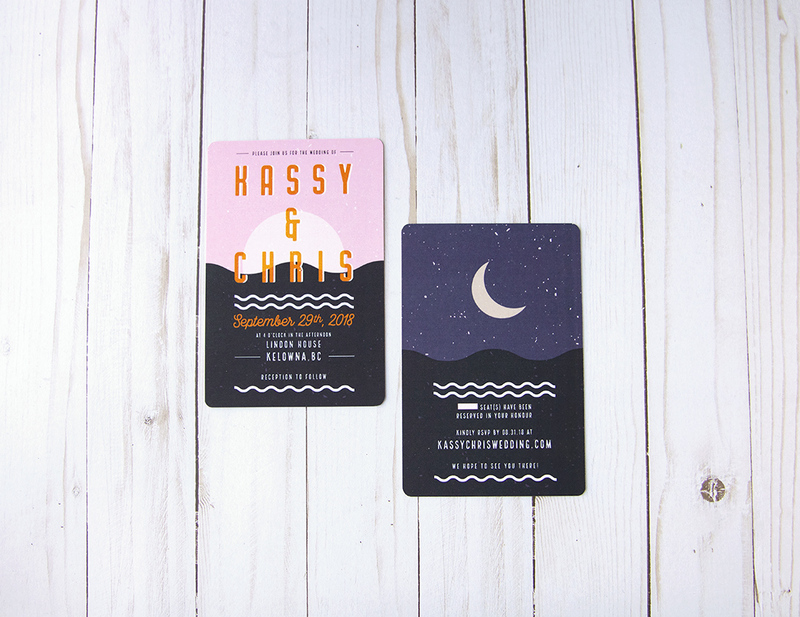 We had a small backyard wedding in the beautiful Okanagan Valley, and we wanted our invitations to channel an end of summer lakeside feeling. 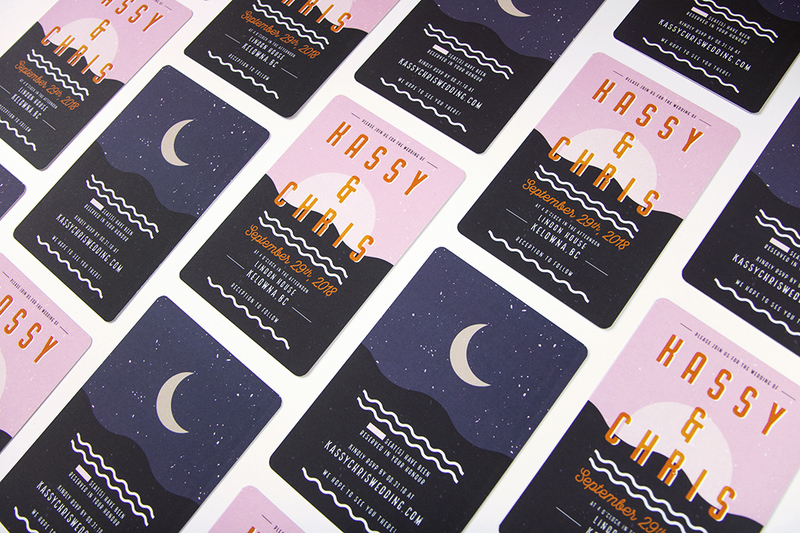 The challenge was combining this late summer feeling with a bold graphic aesthetic. Our final design was inspired by a travel poster for Big Bend National Park that we came across on Pinterest. It had a wonderful use of typography, minimal graphics and an eye-catching colour palette. With that poster in mind, we used the elements that we liked, but also combined it with our own layout and design to make it our own. 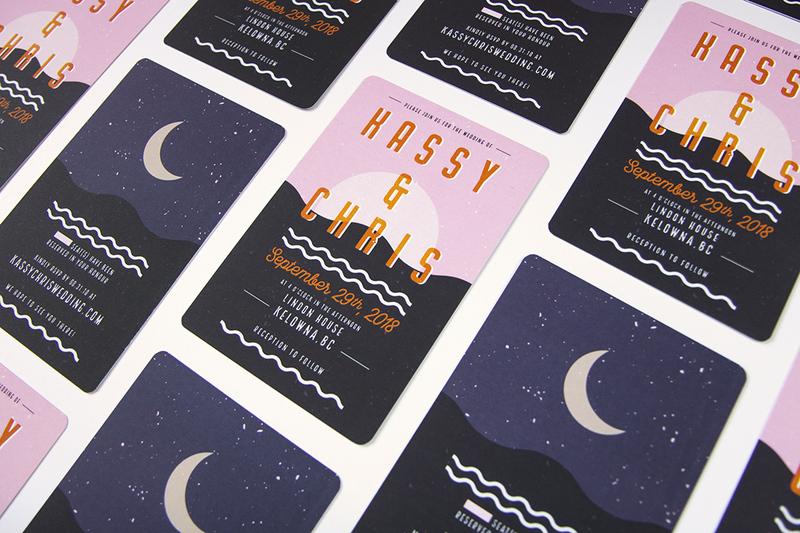 The last step of our design process was printing the invites! 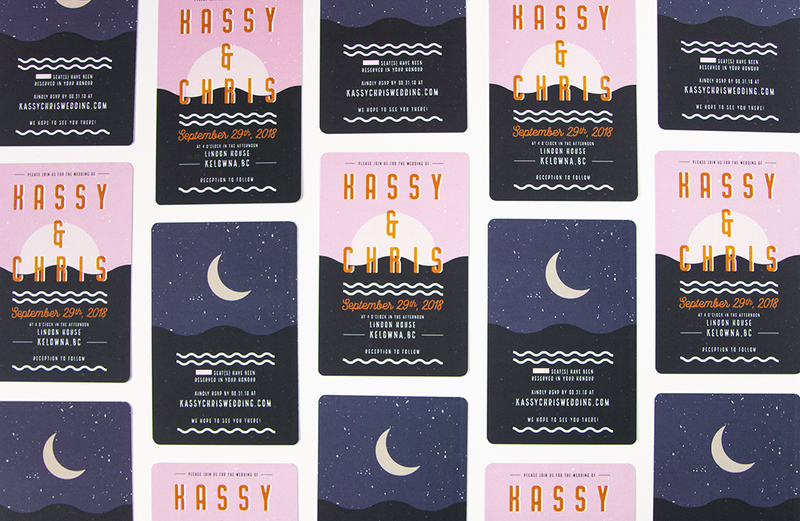 We went over to our trusted friends at Van Print in Vancouver and had them print our wedding invitations on a silk laminate paper stock to give them a silky feel. 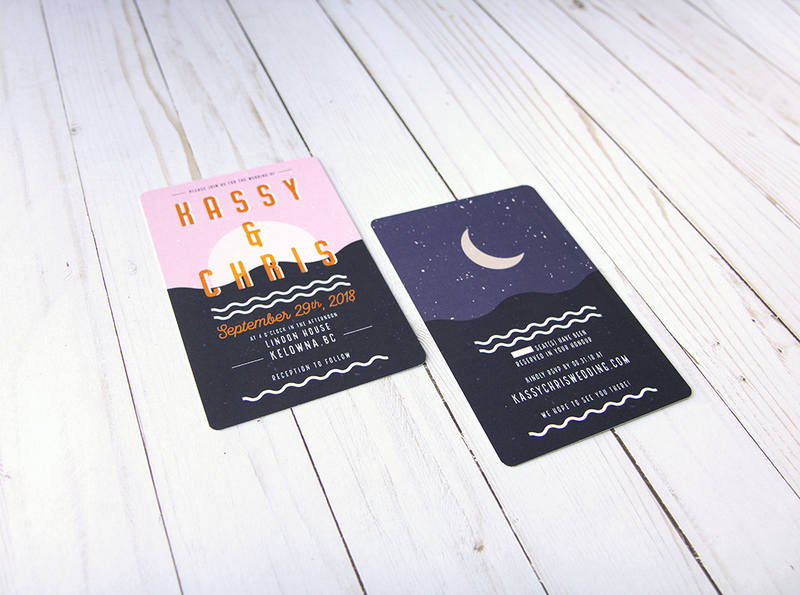 We also went with rounded corners to mimic the smooth curves in our design, which in the end was a perfect fit. Van Print did an amazing job, and we couldn’t have been happier with the result! 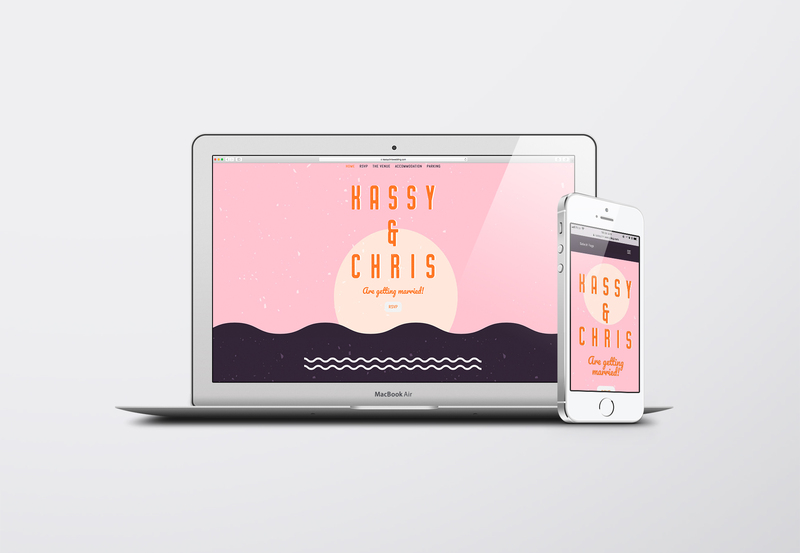 Once we finished with the look and feel of our wedding invites, we started on our wedding website. Using the same design and colour scheme, we built a simple site where we could have guests RSVP and learn information about the day. Our favourite part of the website is the parallax element that allows the sun graphic to set and rise and you scroll down. We also incorporated the moon graphic from the invitation into the confirmation page of the RSVP form. Bypassing the traditional RSVP card with the invitation was not only more eco-friendly, but our online RSVP form made it easy for guests to let us know if they could make it or not. 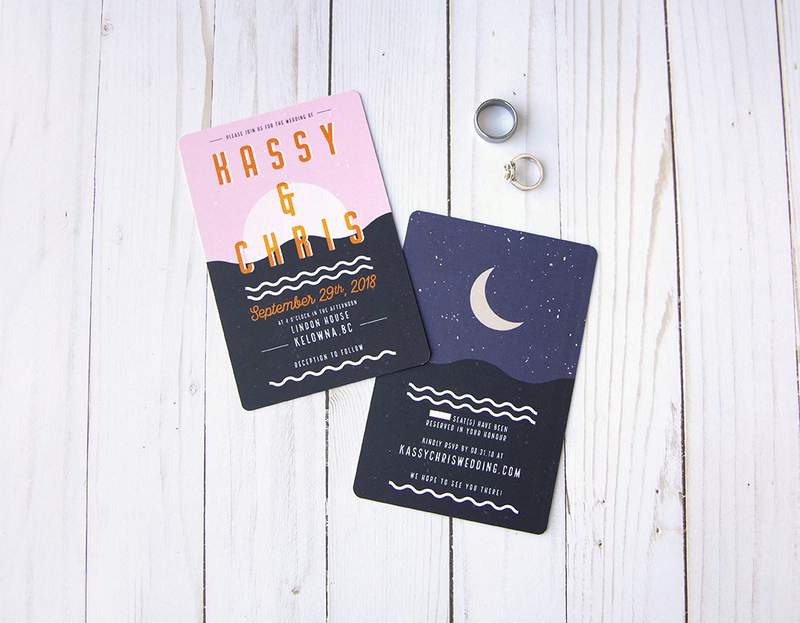 Need help with your wedding invitations? Give us a shout!